Okay, so when I saw this I was positively giddy. After reading my previous post, you’ve discovered my inability to DIY 😦 However, I think this is something anyone could tackle. So, ladies, (and flower loving gents) save up those toilet paper tubes and create a flower accent wall in your bedroom, dorm, or apartment ! Decorating for a party can be quite daunting and expensive at times. 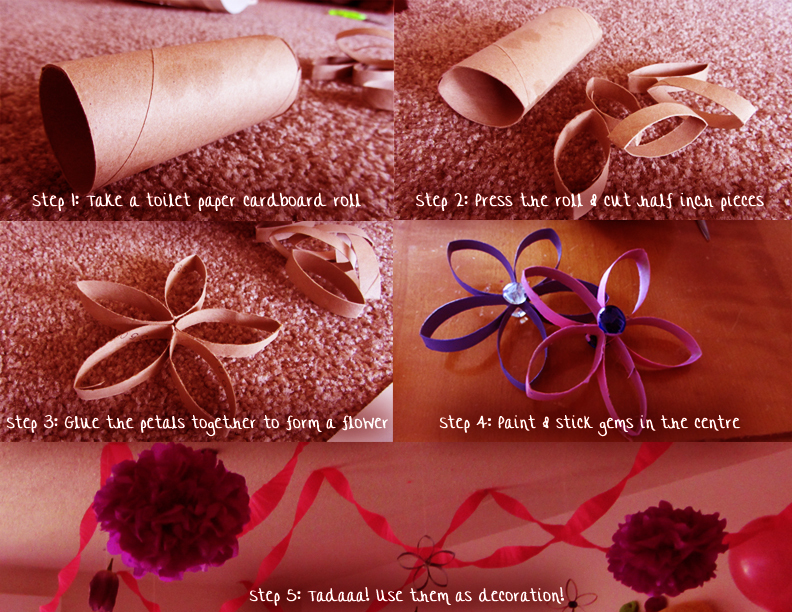 Here is a neat idea of how you can make a quick decoration with things you find around your home. I call these my ‘Toilet Flowers’. Don’t worry, they are just made out of Toilet Paper Cardboard Rolls.